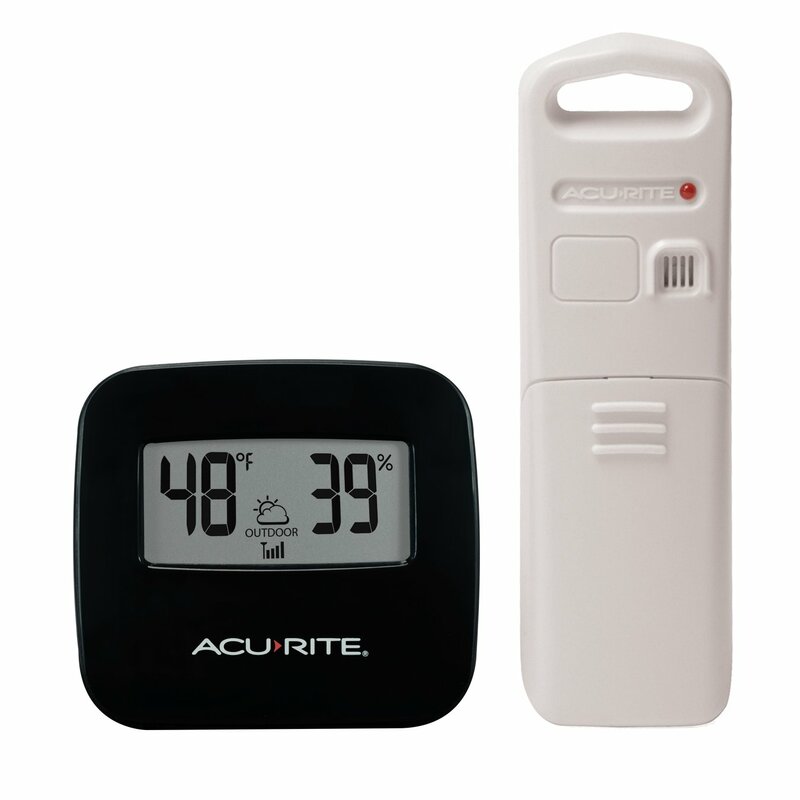 The AcuRite Wireless Thermometer with Indoor/Outdoor Temperature and Humidity Sensor offers convenient and reliable digital thermometer and humidity readings in multiple locations. 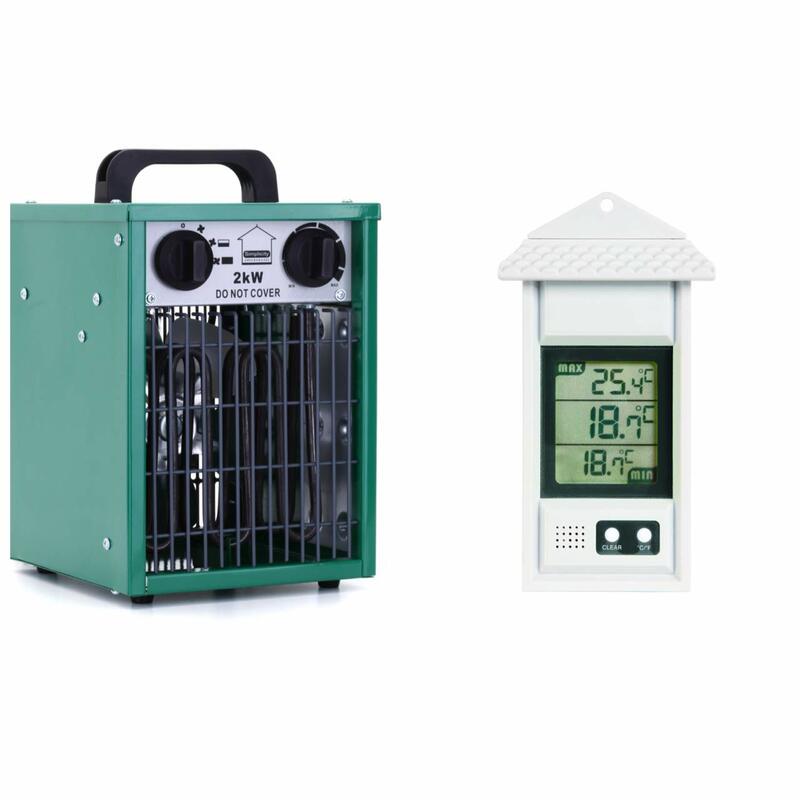 The main unit displays indoor temperature and humidity where it sits, while the wireless temperature and humidity sensor lets you keep tabs on a second indoor or outdoor location. 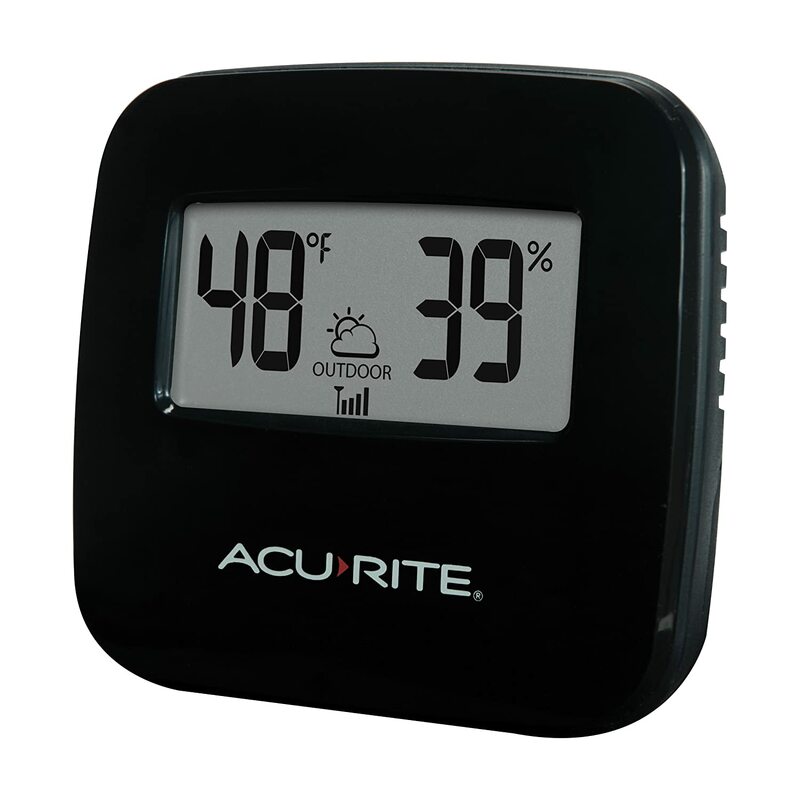 The bold, easy-to-read LCD screen auto cycles through indoor and outdoor environment readings. 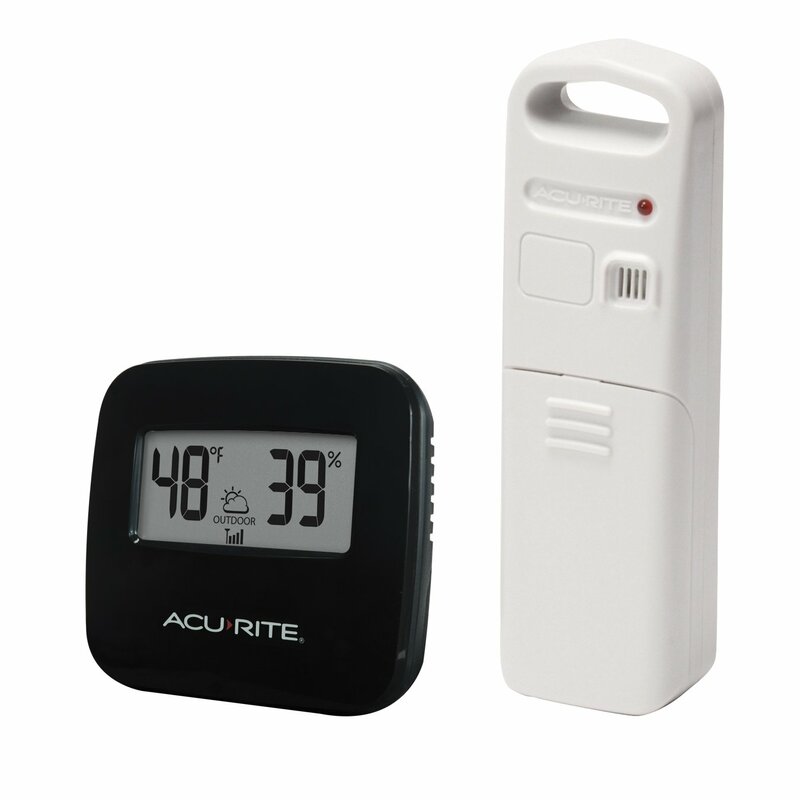 The indoor/outdoor thermometer and humidity sensor offers a 165 foot (50 meter) wireless range. The display stands upright for tabletop use or is wall-mountable. Its more than accurate, its AcuRite. 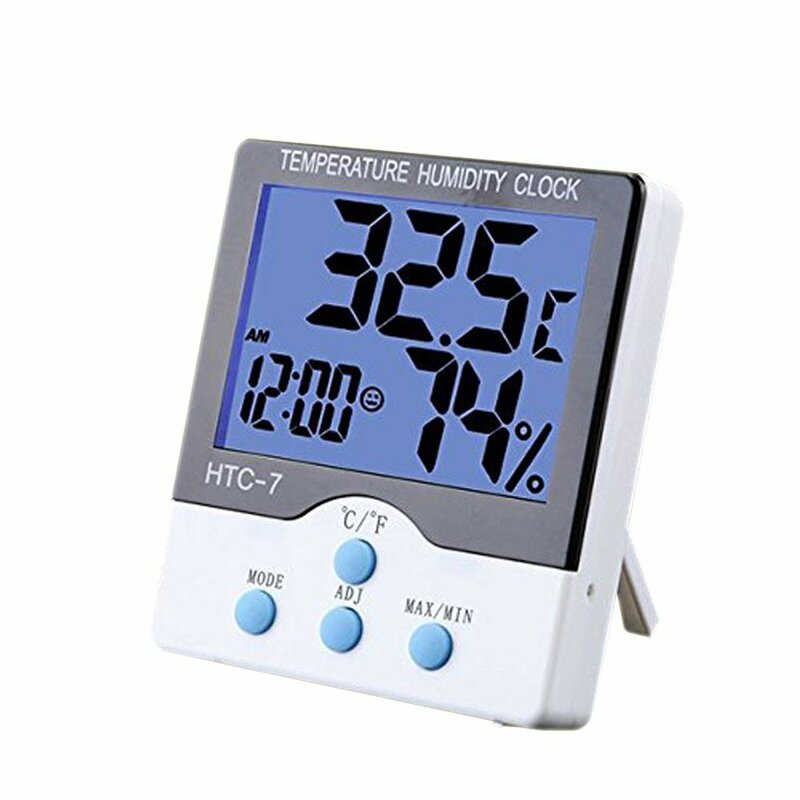 Wireless Thermometer with Indoor/Outdoor Temperature and Humidity Sensor Digital thermometer display features a built-in temperature and humidity sensors for indoor and outdoor temperature (Fahrenheit and Celsius) and relative humidity (RH) readings Totally wireless tabletop or wall-mountable design Indicator for wireless sensor signal strength Auto-cycle feature toggles between indoor and outdoor readings Wireless Temperature and Humidity Sensor Measures temperature and humidity Wireless range up to 165 feet (50 meters) Transmits data every 30 seconds Durable, all-weather construction - perfect for indoor or outdoor use Easy installation includes integrated hanger "
Bought this to replace a (wired) weather station I'd had for many years. 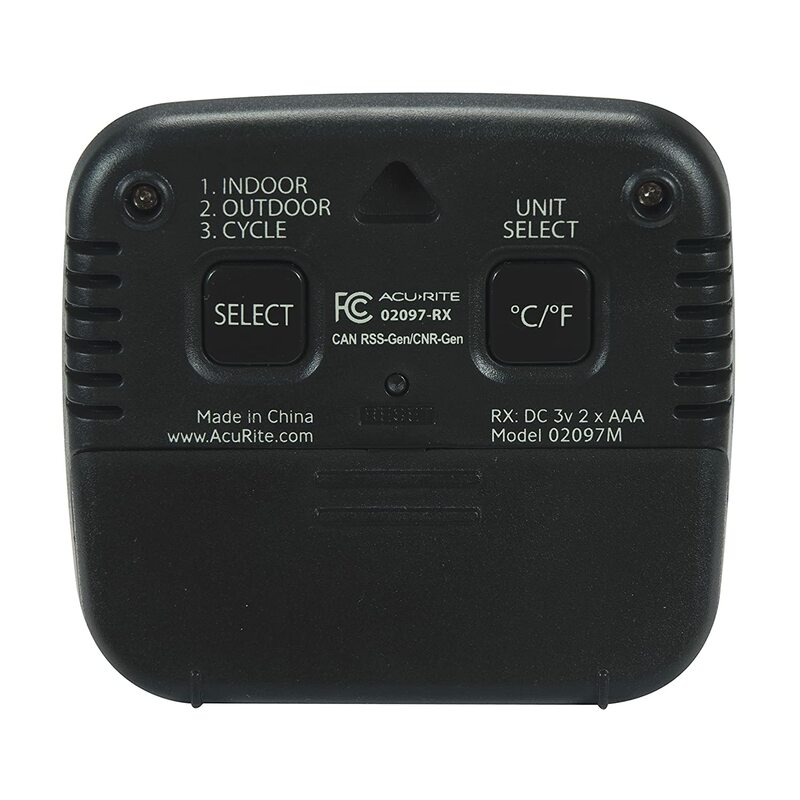 Found this easy to set up (be aware that you need to use 2xAA & 2AAA batteries, which are NOT provided). 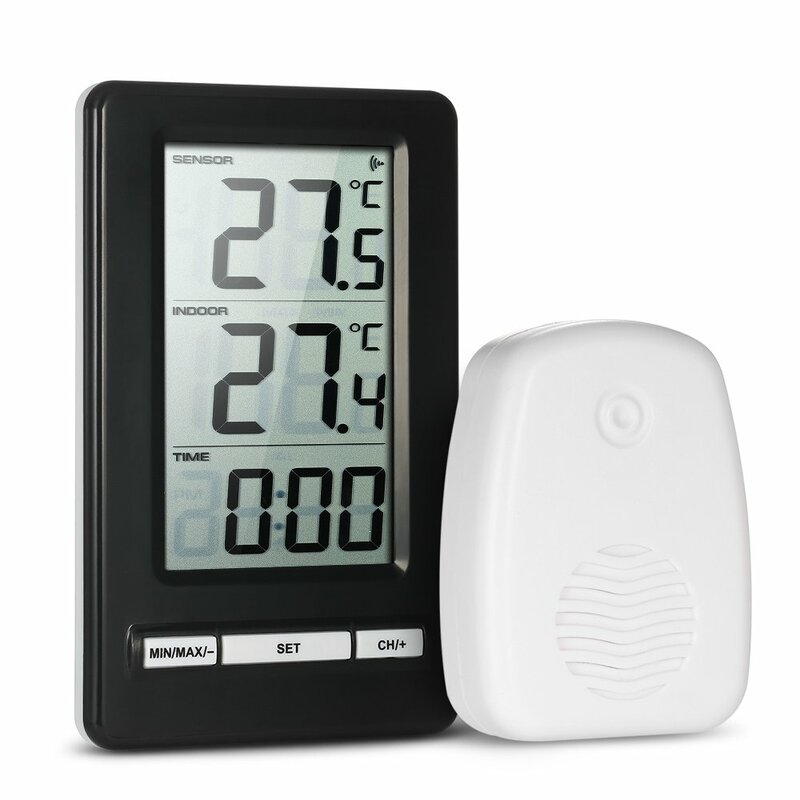 The system immediately linked up, the sensor 'talking' to the hub. 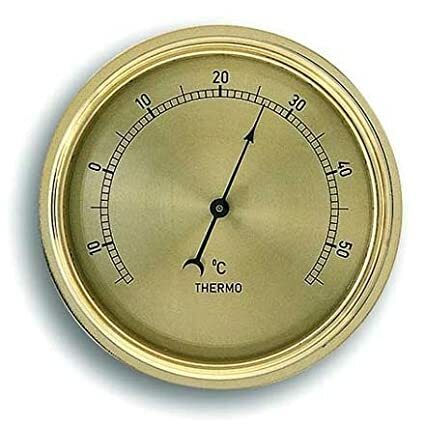 However, I was a little concerned when it showed the temperature outside to be warmer than my external thermometer indicated. Then I realised it had warmed in my hand as I wandered about looking for the best location for it. 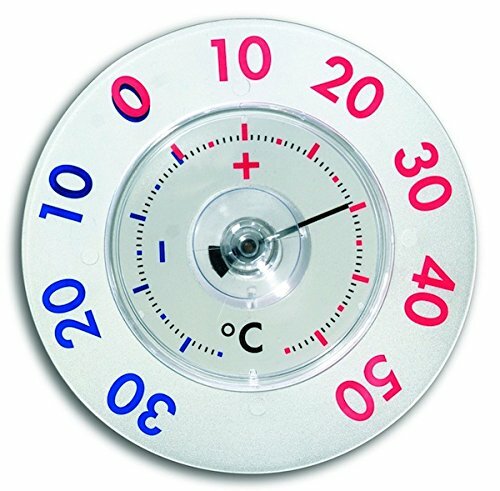 After a little while it reached the same temperature as my thermometer. 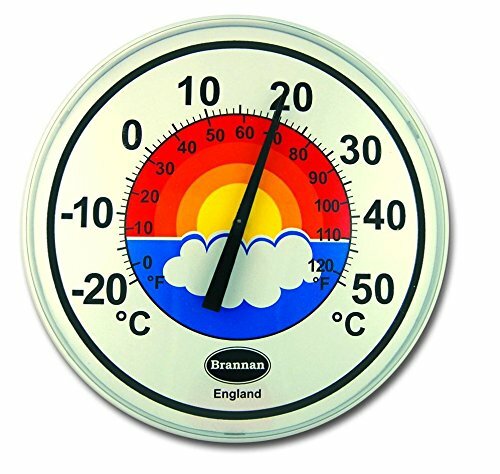 It's default setting is to 'toggle' automatically between outdoor & indoor readings, but I found the flashing image a little irritating so reset it to reflect outdoor information only (I already have an indoor thermometer which keeps me informed). 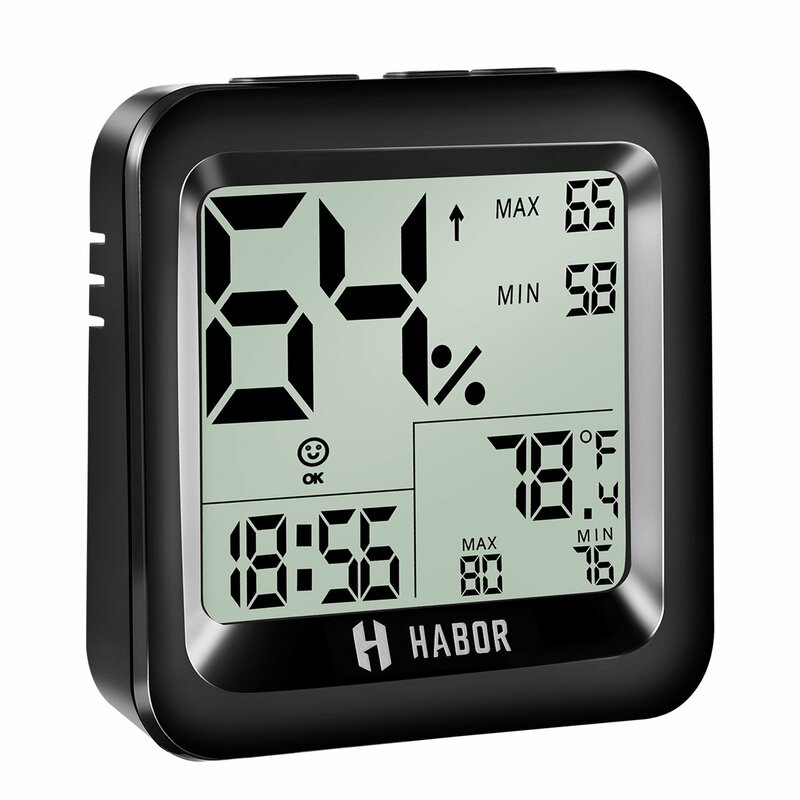 The hub is an attractive small(about the size of a 'post it') black case with a clear digital display, which sits on my window ledge. It'll sit freestanding, or flat on its back. I've had it a few days now, and am very happy with it. Fantastic value, quality product. Worked as soon as the batteries were fitted. 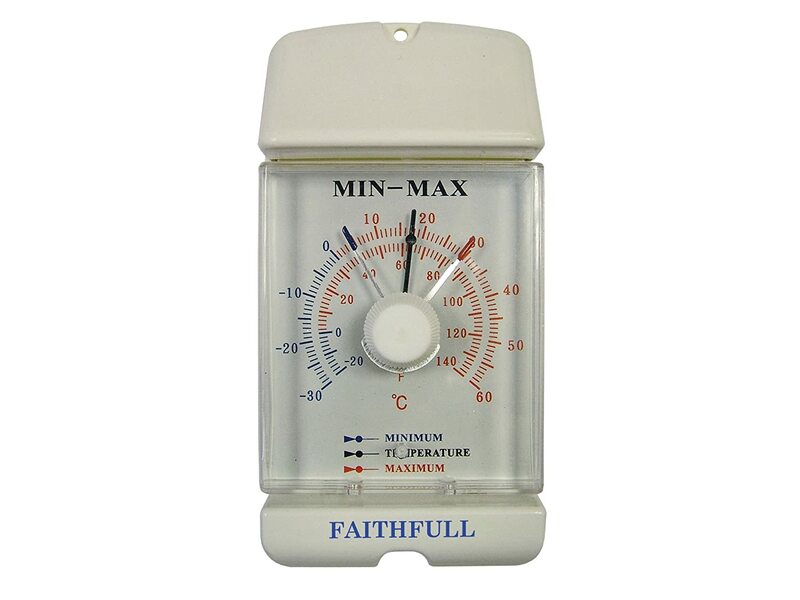 Seems very accurate compared to more expensive thermometers I put it alongside. Inside and outside both read the same when next to each other for 5 minutes. 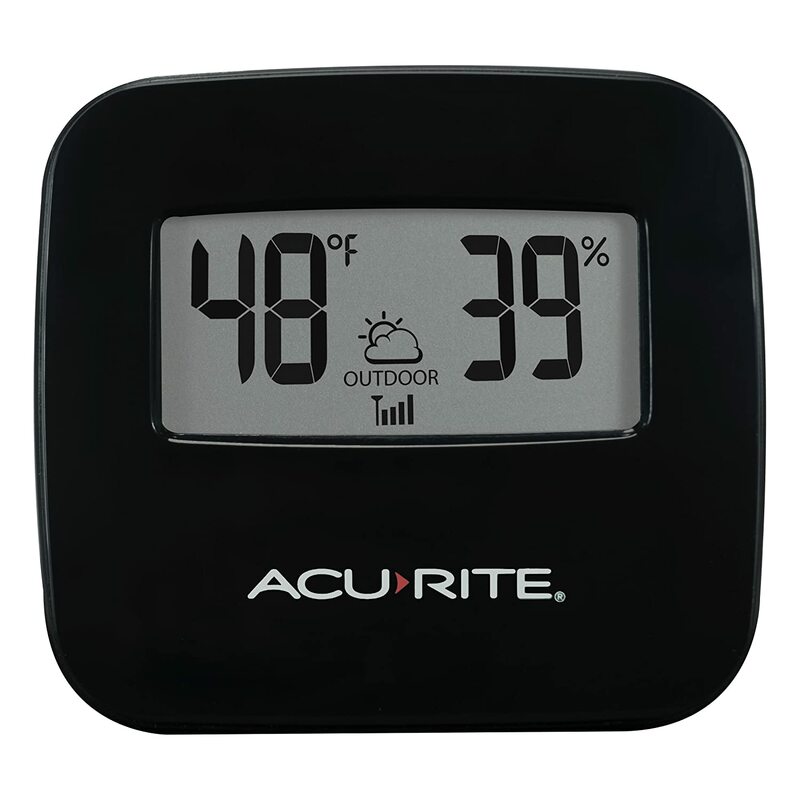 And it has a humidity sensor in the indoor and the outdoor unit. Fantastic! Just what I wanted for my greenhouse! Totally recommend!